Animal Dental Chart is the world’s first web-based, touch-enabled Windows© PC practice management app with user-friendly and fast selection of all current international abbreviations for Dental Charts as well as Bone and Soft Tissue Charts for dogs, cats, puppies, and kittens. 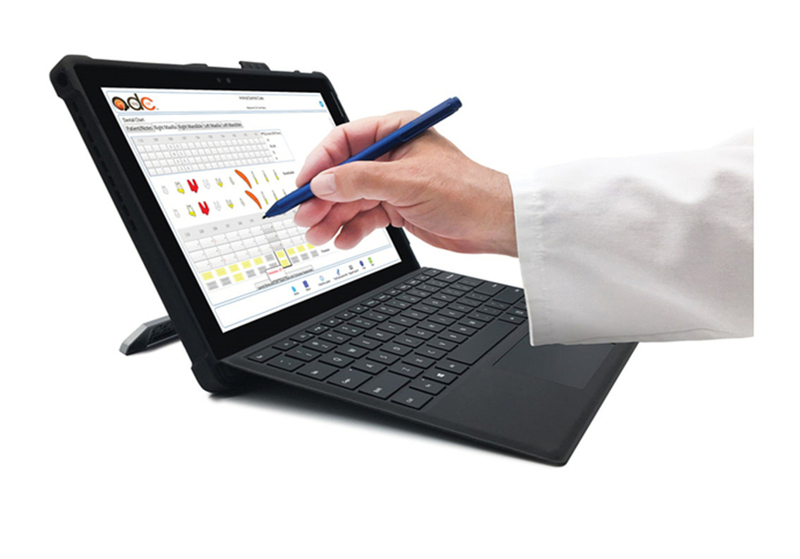 The Dental Charts have customizable four-sided periodontal measurements that are faster and more practical than six-sided measurements for teeth. In addition to intuitive, automatic colorization of teeth, freehand drawing can be done on all Dental and Bone and Soft Tissue Charts, and copies of these are automatically created with lay terminology for clients. There is also an easy to use but comprehensive Anesthetic Monitoring Chart, Calendar, and medical record system that includes a customizable Consultation, Recheck, Master Problem List, Hospital Flowsheet and Notes, Case Summary, and Client Education. ADC complements any other practice management app as any medical records can be easily exported to them as common file types. Select medical records can also be made available for online viewing and downloading by your clients and referring vets with world class data security. The same security extends to digital signatures and a downloadable audit log for all medical records for each patient, a legal requirement of veterinary licencing bodies.